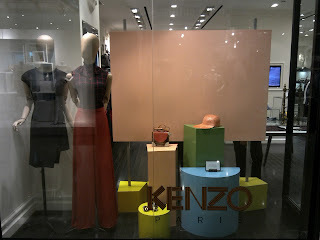 Kenzo is a legendary fashion brand that is internationally famous thanks to its never ending creation and recreation of perfumes. Held by Kenzo Takada, one of some famous Japanese designers, in the early 90's, now it stands under the big umbrella of Louis-Vuitton-Moet-Hennesy, a giant corporation of luxury brands. 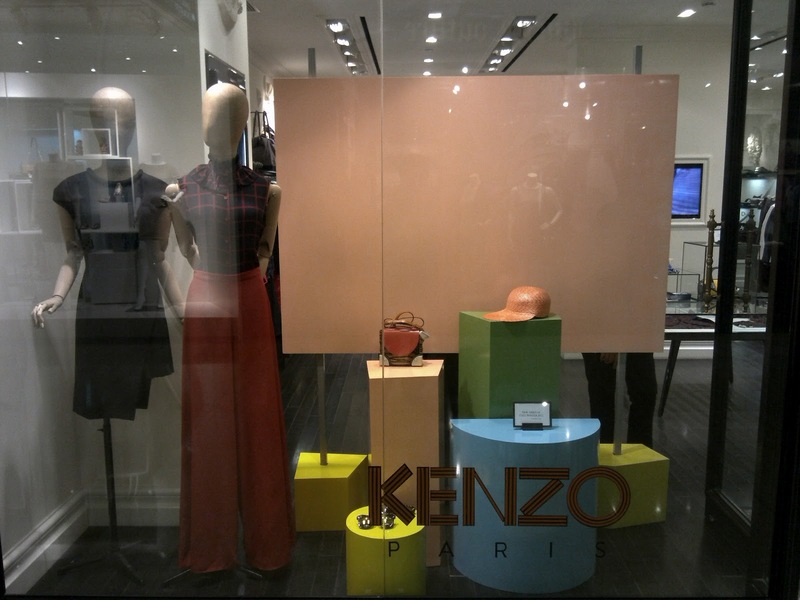 Last year, the Creative Director position for this brand was replaced by Humberto Leon and Carol Lim, the creator of Opening Ceremony, the hippest and most-talk-about multi-brand stores for now. A fresher air was infused since then and this can be seen in the recent collection of Kenzo. 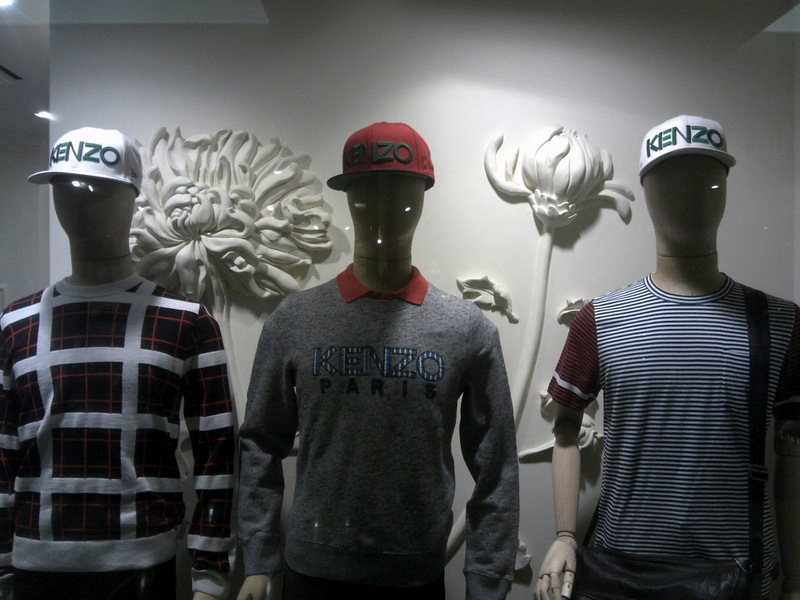 The window display arrangement also look younger now with colorful cubic and mannequins wearing Kenzo cap. 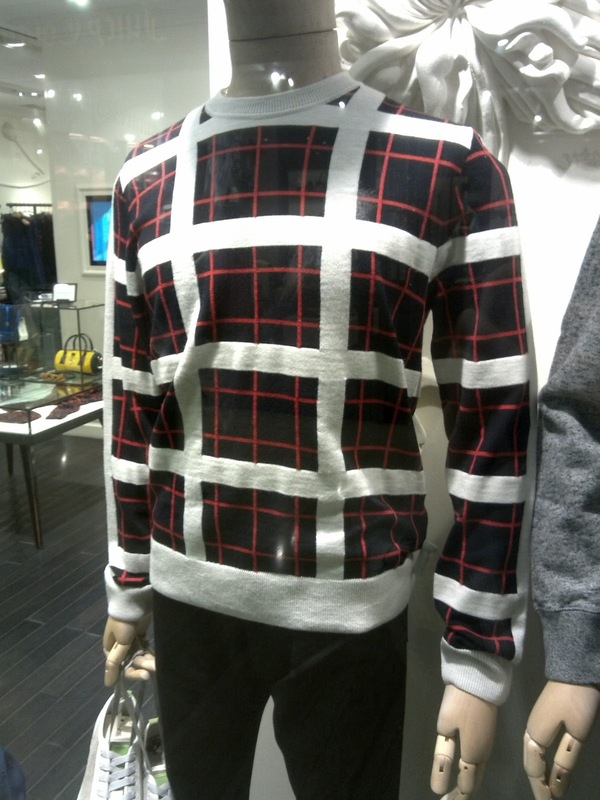 There is also a checked pattern sweater that I love so much.